For the right audience, the new Apple Pencil is equally transformative. Perhaps even more so. It’s everything the first Apple Pencil should have been, and I say this as someone who adored the first model. It’s also a pleasant reminder that Apple still remembers how to keep designs simple while adding functions. Apple even offers free engraving for the new Apple Pencil. Consider the shift to wireless charging: All the other improvements build off it. Gone, for example, is the need to worry about losing the cap, for there is no cap. Gone, too, is the need to jam the Pencil’s exposed male part into a Lighting port. Instead, you merely rest the Pencil along the iPad's right edge, where it clings to the 105 magnets stuffed within (and also instantly pairs). Within seconds, a little notice pops up proclaiming a successful pairing and the battery status, thereby eradicating the frustration of learning how much charge the Pencil had left. The new charging method also solves the problem of having no place to stow the Pencil. Just don’t get the impression that you’ll never have to worry about it. The magnets are strong—so strong, in fact, that I could slap the whole $1,900 tablet on my fridge and have no fears about it falling off. On the other hand, the Apple Pencil simply sits perched on the edge of the iPad, and a firm flick of the finger suffices to knock it off into oblivion. 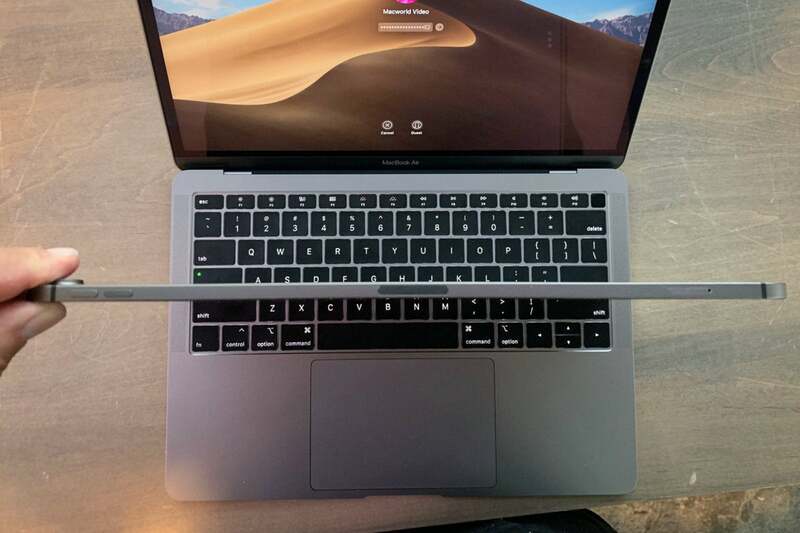 The magnetization adds weight to the new Pencil, and Apple appears to have compensated for that by making it slightly shorter. It retains much the same balance as the previous model, but it’s also grippier thanks a light matte coating. Its cylindrical shape is interrupted only by a single, subtle flat edge that allows you to stick it on the tablet; I worried this would affect the writing experience over long sessions, but I’ve barely noticed it. 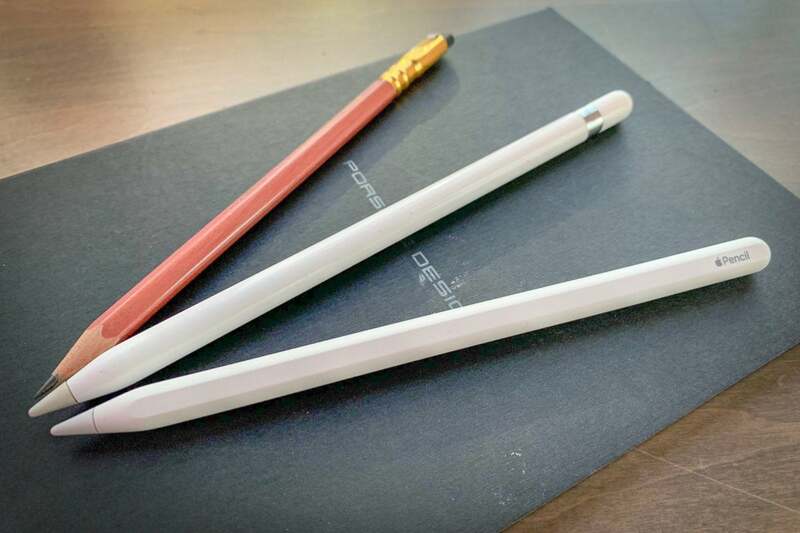 The new Pencil now lets you switch between writing and erasing modes simply by double-tapping the edge of the shaft, and it's admirable how this design adds functionality without sacrificing the elegance of the original. But how will artists warm to this in the absence of physical buttons? I have a habit of twirling my pencil while writing longhand, and often I’d discover I’d accidentally switched the settings while deep in thought. The new Pencil is a great tool for drawing, much as the last one was. (Again, nothing has changed regarding the actual line technology.) It’s also great—but not perfect—for writing, especially with 120Hz refresh rate you get from ProMotion. As precise as the Apple Pencil is, I still write more swiftly with real pencils like my beloved Blackwing 602s. It’s so close, but it’s not quite there yet. The new Pencil is undeniably great, and it’s a marvel of engineering and design. But it's a bummer that Apple boosted the price to $129 while keeping the old model priced at $99. The new one does more, but it would've been nice if, say, Apple sold the new for $99 and lowered the price of the previous model. The old Pencil is largely aimed at students these days, after all. Awkwardly, you can’t use the old Apple Pencil with the new iPad Pro. It is understandable; the new Pencil requires a different charging mechanism. But in this case you should simply be able to include the Lightning adapter Apple used to include in the original Apple Pencil box with a USB-C to Lightning cable. As we’ve shown in a video, that’s simply not possible. 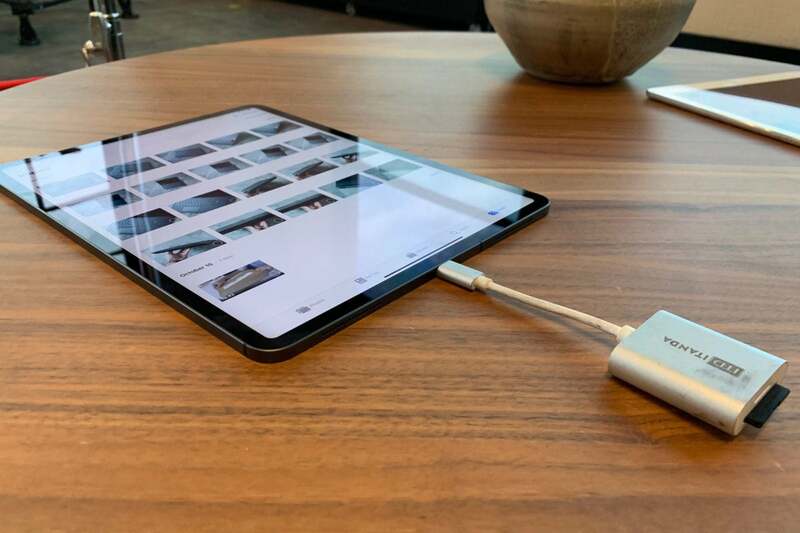 Not only does this feel slightly sinister, but it also points to intentional limitations of the new iPad Pro’s USB-C compatibilities. I also admire the Smart Keyboard Folio, even if it’s not quite so transformative. 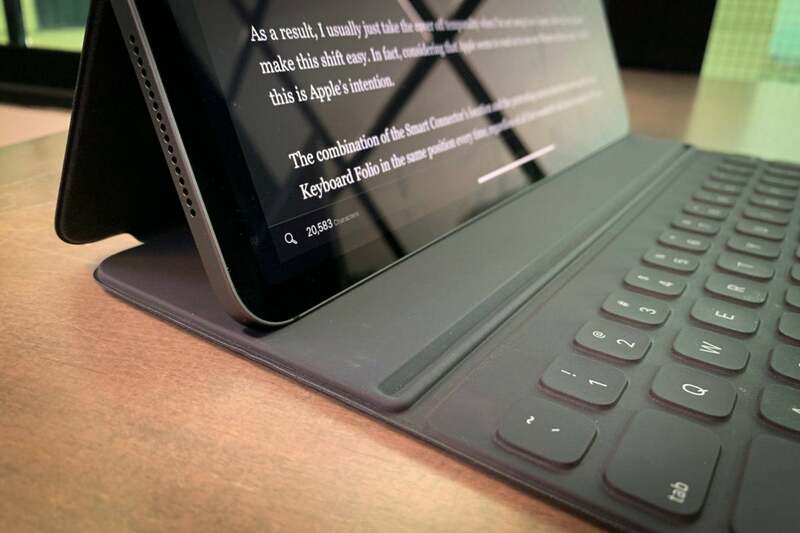 It’s thin and light like the previous folio case, but Apple moved the Smart Connector to the iPad’s lower back edge, allowing the case to envelop the entire device. As further proof that Apple designed the Pencil, Folio, and iPad Pro as one unified design, the Apple Pencil perches on the edge that’s opposite the spine in such a way that the case doesn't force it to tumble off. The Pencil generally stays put, but I’d advise only keeping it like this when you’re on the move and the iPad is in your hand. And I dare say that tapping on its fabric-covered keys is a little more enjoyable than tapping on the MacBook's butterfly keyboard, although I miss the latter's backlight. The key travel—while not massive—manages to satisfy. The same magnets that charge the Apple Pencil also keep the tablet firmly in place while you’re typing on your lap (even to the point of making it lightly annoying to close it again). 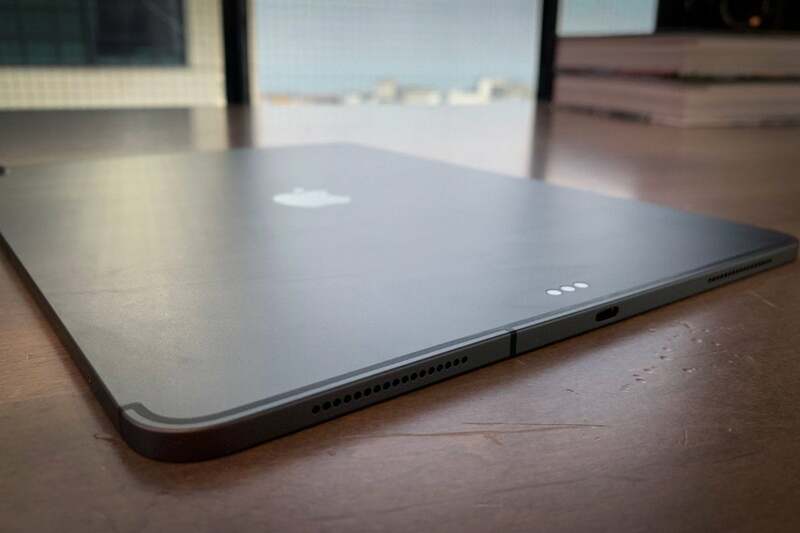 Choosing this type of design, though, meant that Apple had to sacrifice the “origami” style smart cover, which it turns means it chose to sacrifice some flexibility. As it is, you can really only adjust it to two angles. Worse, when you flip the cover backward so as to use the iPad like a legal pad, the keys are awkwardly exposed on the back (though disabled). You’ll have so much fun wrestling the iPad’s magnets from those groovws. I usually just take the cover off temporarily when I’m not using it like a laptop. The magnets make this shift easy. Considering that Apple seems to want us to use our iPhones without cases, I believe this is Apple’s intention. The combination of the Smart Connector’s location and the protruding camera also force you to use the Smart Keyboard Folio in the same position every time, regardless of all that wonderful talk about using Face ID in any orientation. This wasn't much of a problem until I noticed that I have a weird habit of holding my left hand in such a way that it blocked the Face ID camera when I wanted to unlock the device. It feels like a “smarter” location. And gosh, I’d give so much to have external mouse or trackpad support. 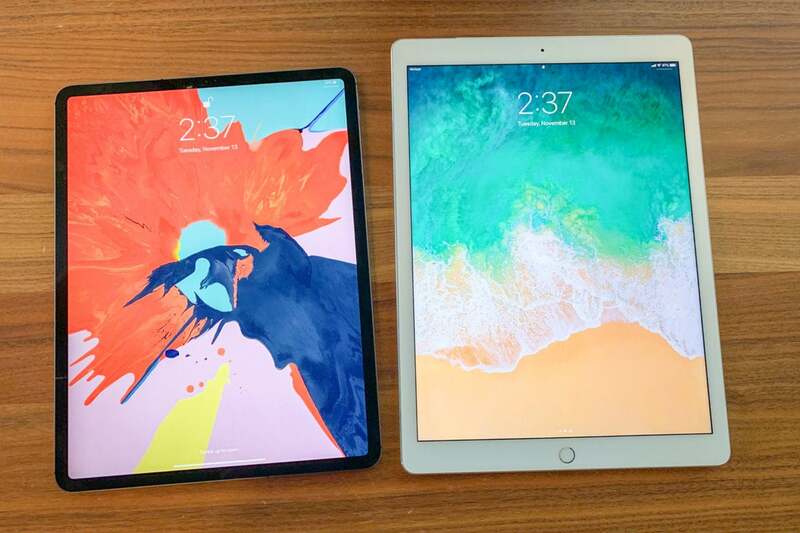 If you’ve never tried to work exclusively on an iPad before, you might be surprised to learn that you need to perform every action with your fingers or the Apple Pencil. It’s more time-consuming than it probably sounds. You can simulate a trackpad by holding down two fingers at once on the display, but this is a fiddly solution at best. Sometimes it doesn’t register. Sometimes it doesn’t select the exact text you want. It always feels like a gamble. I typically write my longer articles on my MacBook with the Ulysses apps, keeping one Ulysses window open to an outline on the left while I write the actual article in a window to the right. On the iPad, though, I can only use split-view for multitasking for two separate apps, so I need to paste the outline in a separate app like iA Writer if I wish to maintain that workflow. For that matter, there are still many apps that don't support split-view multitasking at all. 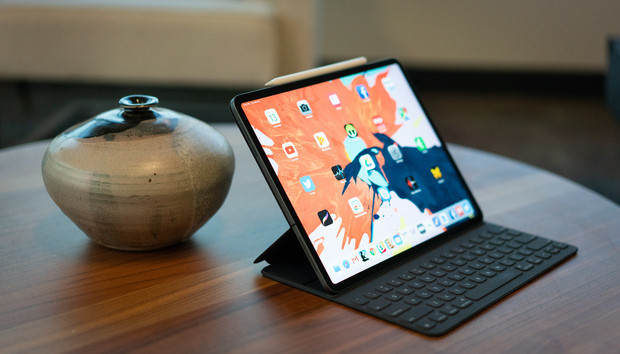 That’s not even mentioning some of the other problems with using an iPad Pro for work, such as the not-so-intuitive Files app for file management or the difficulty of resizing images with Apple’s native tools. You may have heard some of these complaints from me before in reference to other iPads, but that’s also essentially the problem. The new iPad Pro is a fantastic machine. 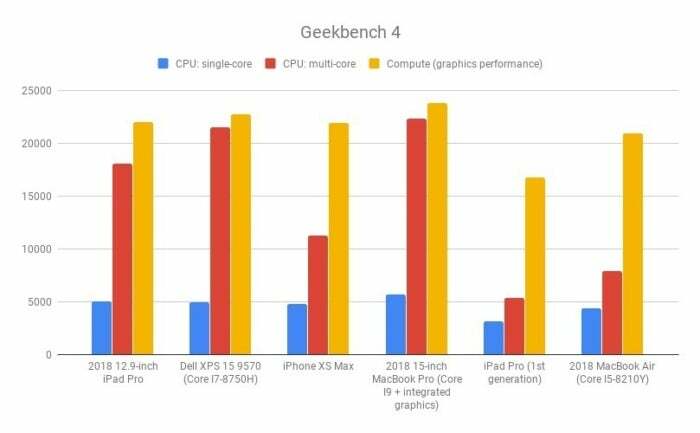 It’s a triumph of technology, and a reminder of why Apple dominates the tablet market almost as thoroughly as it dominates the smartwatch market. Jony Ive called it a “single, clear product” and that’s a justified phrase, especially considering how well Apple implemented the Apple Pencil and Smart Folio into the design. Face ID simplifies interaction, USB-C support promises to keep it better integrated into Apple’s ecosystem, and of course it’s so ridiculously powerful. And yet, for everything else, I might as well be talking about the 9.7-inch iPad. True, for artists, I imagine this machine may be a godsend, particularly when Adobe Photoshop drops (and notably, considering my criticisms, with Adobe cloud support). 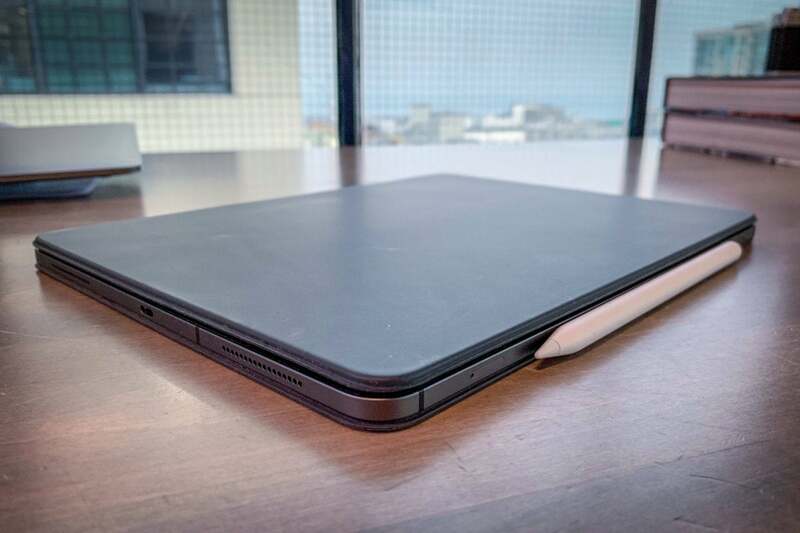 Yes, it’s more powerful than many other tablets out there, but it lacks simple, work-friendly features that usually come with the shoddiest laptops. I’m not an enemy of iOS—in fact, in some ways I prefer it over macOS—but its dogged omission of true trackpad support and a proper file system hold the iPad back from its potential. 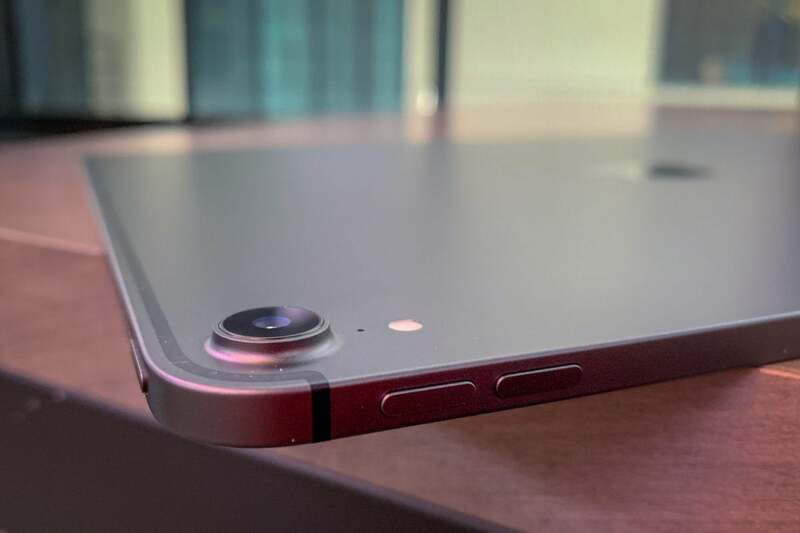 It’s so close to being the device we all want and yet so far. It’ll be the right fit for some people. Ultimately, the new iPad Pro is wonderful if you came to terms with the limitations of the iPad long ago. It’s approaching the kind of power I never would have expected to see in it a few years ago, and it has never looked better.